I am having difficult times writing this days. I am finding it difficult to post even one post per week. When I sit down to write something I am more worried about the look and font etc. more than the subject. Who is not having difficult times? Anyway I have decided to write something. Recently I visited UK and Ireland and was there for more than 2 months. I had a good time and more importantly a great experience. However I lost something very important in the process, my website –http://www.shamsud-ahmed.com. As I was away I could not update my subscription to my domain company and they have put my domain name for auction. I never thought something of this short happens and realized that someone from Arizona bought my domain name. I lost everything! My readers, my rankings and though I tried calling the helpline they informed me that I have to buy back my own domain at a premium price which I cannot afford. I am not sure why someone will buy my domain which has my name in it with barely 300 hits every day. With so many things happening in the back ground I wanted to tell the world about my recent progress in the Poetry world and I am very late but with my website back to gaining its readers back I am more excited now to start working on newer projects. Two of the anthology where I contributed got published last month. 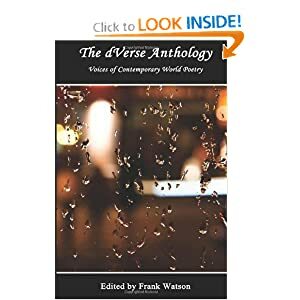 The dVerse Anthology: Voices of Contemporary World Poetry [Paperback] is an effort by prominent author Frank Watson. Frank Watson was born in Venice, California and now lives in New York City. He enjoys literature, art, calligraphy, history, jazz, international culture, and travel. His books include Fragments: poetry, ancient & modern (editor), One Hundred Leaves: a new, annotated translation of the Hyakunin Isshu (editor and translator), and The dVerse Anthology: Voices of Contemporary World Poetry (editor). His work has also appeared in Rosebud and Bora literary magazines. Frank shares his work on his poetry blog (www.followtheblueflute.com) and his Twitter account (@FollowBlueFlute). From America to Nigeria, Germany to Malaysia, and all around the world. One voice in the dark joins another, then another. Soon there is a chorus of voices and the night comes alive. No two voices are the same, and each adds depth to the song. Soon it spreads and people in the next town are singing, then in the next country, and then in all the continents of the world. Different languages where the words don't sound the same, but the heart unites as one. The song is not just the one you hear, but the one that plays "connect the dots" along the veins in your arm--as you inhale and--join in. 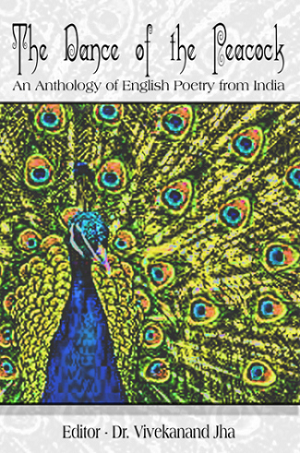 Explore the world of contemporary poetry through the inspiring and diverse work of over ninety poets from around the world. Drawn primarily from the poets contributing to dVersePoets.com, The dVerse Anthology features the unique voices and styles of poets as they ponder topics as varied as love, family, travel, conflict, loss, and much more. Take a peek and see what the poets have to offer about the pulse of life in modern society. I am hopeful that both the book will do well and open new avenues for young poets. In the mean time I can say that I have learnt my lesson and would be extremely careful in the future. With newer experience come new opportunities. My next project is a series of TV Serials for a channel in North in India. We have already released the 1st season of jivan.com and now busy working for Season 2. Do not forget to visit the launch of “Inspired by Tagore” where I got an opportunity to contribute one of my works. It’s great to see your working getting published which is nothing but a validation of your work, it’s incredible!! There is much beyond hatred! I don’t understand – I bleed! The army finally decided to retreat. Your beautiful day – Can I borrow? Let me measure your happiness with my sorrow. When your foods rot – remember I starved! In the silence of the night I too barked. I let it go …..Existence Survive!